We are pleased to announce that we are sponsoring the inaugural Harlow Architectural Design Awards. 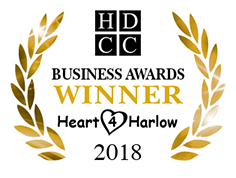 The awards have been launched to recognise the very best in Harlow’s existing architecture, as well as encouraging excellence in the design of Harlow’s development over the coming years. Each year, one residential and one non-residential building, completed in the preceding 12 months, will be selected by an expert judging panel, following a public vote. As 2016 sees the launch of the awards, any building in the new town era (1947 to present) will be considered. A trophy for the winner in each category has been commissioned from local artists at Parndon Mill, Harlow’s creative hub. Winners will also receive a certificate and optional plaque for their building. Nominations are now open, why not visit the website and nominate your favourite building?